NOTICE: This theme contains no weather widget. I will upload one seperately at a later date. 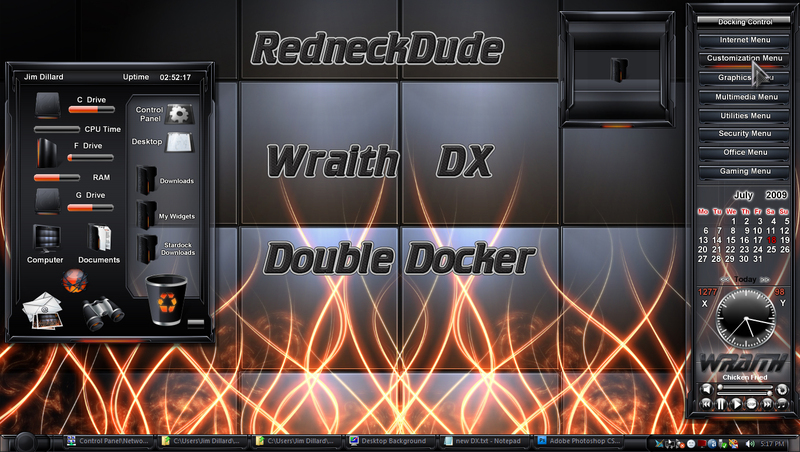 Docking theme based on the Wraith Windowblind Master Skin by SKOriginals.